Most surveying companies specialize in a specific area, or else they are part of a larger full-service engineering firm. Regional Land Surveyors, Inc. is a rarity: a full-service, traditional land surveying company with non-traditional surveying capabilities. 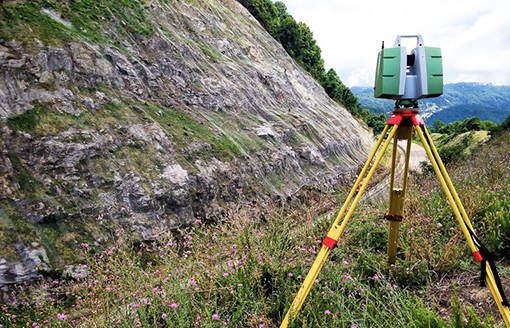 RLS is pleased to offer our services using cutting-edge technology like GPS, 3D laser scanning, and unmanned aerial systems (drones), while still maintaining our solid conventional surveying foundation. We service a wide range of markets, including residential, commercial, oil and gas, alternative energies, environmental, historic preservation, education, government, and aviation. Based in Central North Carolina, Regional Land Surveyors, Inc. is one of the largest (non-engineering) traditional surveying companies in the mid-Atlantic region. We employ 12 field crews, each fully equipped with total station theodolites, high-accuracy GPS receivers, and underground utility location equipment. These 12 field crews are led by four project managers and supported by nine CAD technicians, and we are pleased to boast that RLS employs six Professional Land Surveyors (PLSs) and two Survey Interns on the path to licensure. Regional Land Surveyors, Inc. is licensed to provide services in North Carolina, South Carolina, Virginia, California, Colorado, and Wyoming. Contact us today to learn how Regional Land Surveyors, Inc. can be your trusted partner.